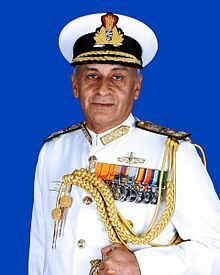 Admiral Sunil Lanba, PVSM, AVSM, ADC, Chairman Chiefs of Staff Committee (COSC) and Chief of the Naval Staff (CNS), Indian Navy is on a goodwill visit to Malaysia from 11 to 15 April 2017. The visit is intended to consolidate and enhance bilateral maritime relations between India and Malaysia and is expected to provide a major boost to defence relations between India and Malaysia. During his visit, the Admiral will hold discussions with the Deputy Minister of Defence, Chief of Royal Malaysian Defence Forces along with the Chiefs of Army, Navy and Air Force of Malaysia. The Indian and the Royal Malaysian navies cooperate with each other in terms of training, operational interactions as well as interacting at various multilateral forums like Indian Ocean Naval Symposium, MILAN and ADMM Plus. Warships from both navies visit each other’s ports to build ‘Bridges of Friendship’. The Chief of the Royal Malaysian Navy (RMN) along with RMN corvette KD Lekir participated in the International Fleet Review-2016, at Visakhapatnam in February 2016. An inaugural Field Training Exercise is also scheduled between both navies in June this year, coinciding with the visit of Indian naval ships to Malaysia. The Admiral, in addition to holding important bilateral discussions with various dignitaries, will also visit major naval establishments of the Royal Malaysian Navy including the submarine base. He will also address the participant Officers and faculty of the prestigious Royal Malaysian Armed Forces Command and Staff College.